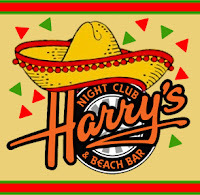 Thursday, May 5th, come down and join us for our Cinco de Mayo Fiesta at Harry's in Pismo Beach! We have all kinds of goodies lined up for you! 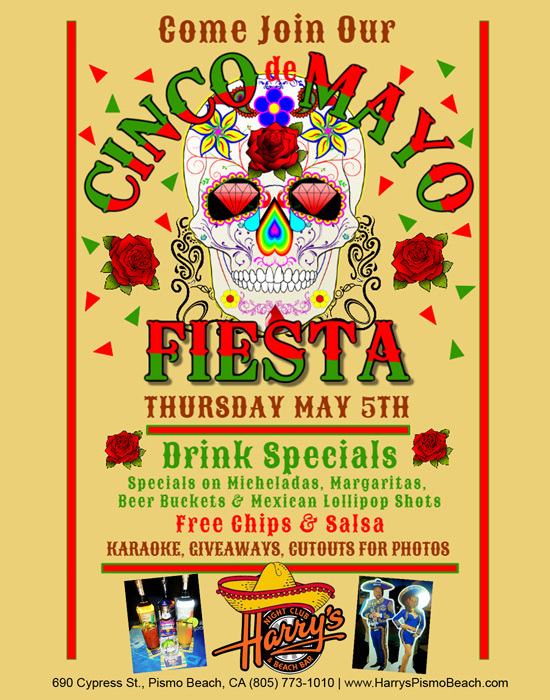 Specials on Mexican Lollipop Shots, Micheladas, Margaritas and Beer Buckets, plus free Chips & Salsa, our senor/senorita cutouts for photos, giveaways, and Karaoke at 9pm!